Looking to cruise around the water and have some fun in a kayak? Don’t want to spend an arm and a leg in the process? We’ve got you covered. In this post, we’ve compiled the 8 best recreational kayaks under $500 and our pick for the number one best recreational kayak under $500. 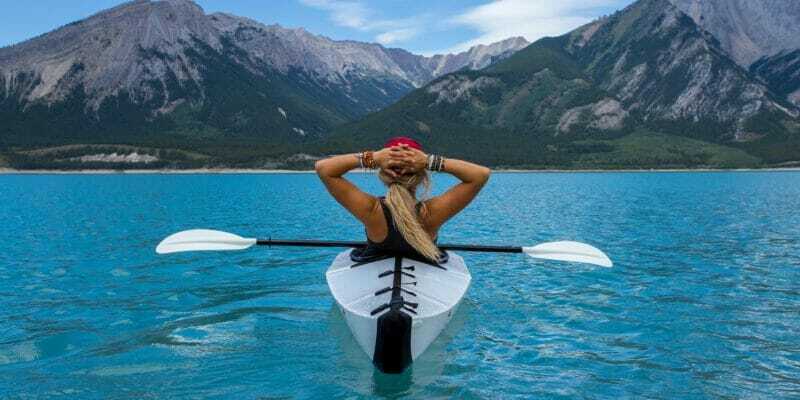 So what is a recreational kayak exactly? 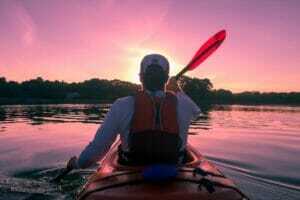 Basically, a recreational kayak is any kayak suitable for cruising in calmer lakes, rivers, and bays. These kayaks are made with the weekend kayaker in mind. A recreational kayak will be very stable and maneuverable, but won’t be as fast or as efficient as a touring kayak. They aren’t designed for serious fishing, fast flowing white water, or deep ocean use. For that, you would need a specialized kayak. Our number one pick for the best recreational kayak under $500. The Old Town Vapor 10 really stands out from the pack in this category. Made from one layer of highly durable polyethylene, this kayak can easily take any abuse you can put it through. Drag it over rocks, drop it from your roof rack, and it keeps on going. The kayak is wide enough to provide extra stability and roomy enough to store loads of extra gear or even your dog! The cockpit is large and open, which is great for getting in and out easily, and particularly useful for big and tall kayakers. There is an open storage compartment in the stern (rear) of the kayak, which works well for quickly accessing items. It’s not sealed or waterproof, but Old Town sells a watertight hatch kit separately. The seat and foot pedals are fully adjustable, and many users rave about how comfortable the seat is for prolonged use. Coming in at less than $300, this is a great choice for budget-conscious kayakers. The Sun Dolphin Aruba is made of UV-stabilized durable polyethylene so it can withstand most environments. It tracks very well in the water, particularly for a kayak in this price range. It’s also fairly lightweight, so it’s easy to lift out of the water or onto a car roof rack. It features a watertight gear well behind the cockpit, which allows you to store any important stuff you want to keep dry. There is also a convenient water bottle holder directly in front of the cockpit, so you can keep a cold beverage handy. 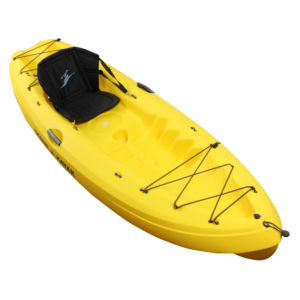 This versatile sit-on top-kayak is great for playing in the ocean surf as well as calm lakes, rivers, and ponds. Like all sit-on-top style kayaks, the Ocean Kayak Frenzy is beginner friendly and great for a variety of marine environments. Fairly compact at just 9 feet long, this kayak is light and easy to transport. There is also an abundance of storage space, with both a bow and stern bungee storage areas. The hull is particularly well designed – it uses Ocean Kayak’s ‘Tri-Form’ design – which gives it great stability plus excellent tracking in the water. The seat is fully adjustable, and with a 275 – 325 lbs. weight capacity, this bad boy can haul all the gear you could possibly need. Or you could bring your dog along for a relaxing paddle! Overall, this boat is a fantastic choice if you’re looking for the best recreational kayak under $500. Lightweight at just 43 lbs. Designed for both single and tandem use, the Lifetime 10 Foot’s impressive 500 lbs. weight capacity is the ideal kayak when you need maximum stability and weight capacity. The boat itself weighs just 60 lbs, which is rather impressive when you consider its high weight capacity. It’s also extremely stable, and the ‘high and dry’ seating keeps you comfortably dry above the deck. 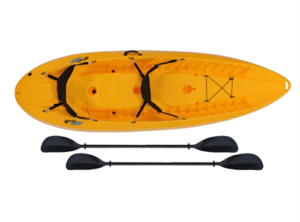 The kayak comes with 2 double-sided paddles, as well as 2 soft backrests. The sit-on-top design is good for both solo and tandem paddling. When using it solo, you have plenty of room in the spare seat for gear, fishing equipment, or even a canine companion. 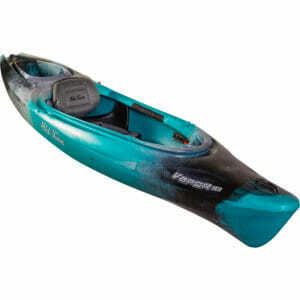 This is also a great kayak to use in the ocean, as long as you don’t mind getting a bit wet! A great choice for kids aged 5 and up, the Lifetime Youth Wave Kayak is the smallest and least expensive kayak in our review. It’s specifically designed for kids and will accommodate children or adults up to 130 lbs. The design is focused on enhanced stability, which is exactly what you want in a kayak for kids. The rear of the kayak has a sloped end, which makes it easy for kids to climb back into the kayak from the water. Weighing in at just 18 lbs, the kayak is light enough for kids to carry on their own. There are also molded finger handles on each side – so carrying it is a breeze. Multiple footrest positions make it comfortable for any sized kid to use. 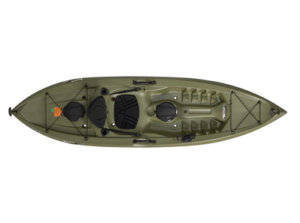 The kayak comes with a double-sided paddle, as well as a 5-year manufacturer warranty. If you’re looking for a light, stable kayak that your kids can have a blast in, this is a great choice. Ideal for camping, hiking, or getting a kayak into hard to reach places – the Advanced Elements AdvancedFrame Kayak is as handy as they come. The kayak folds up into the size of a small suitcase, so you can throw in the trunk. It weighs in at only 36 lbs, so it can be carried with you on hikes or day trips. Due to its rigid aluminum frame, multiple air chambers, and solid panels this kayak will perform similarly to a solid body kayak. Three layers of material make the exterior resistant to punctures, and a repair kit is included in case a leak does develop. The kayak can be inflated fully in about 15 minutes with a standard hand pump, or much quicker with an electric pump. The 3-person kayak field is somewhat limited, but the Sevylor Big Basin 3-Person really shines if you’re looking for high weight capacity and lots of storage room. With a weight capacity of 490 lbs, this kayak can easily handle 2 adults plus weekend camping/ fishing gear – or 3 medium sized kayakers. Just like all inflatable kayaks, this kayak is super portable and will easily fit into your trunk for transport. Heavy duty PVC construction plus a tarpaulin bottom makes this inflatable rugged enough for river use. The overall construction quality is excellent, and it tracks surprisingly well in the water. No paddle or pump is included though, so be sure to pick up a quality paddle and electric pump. 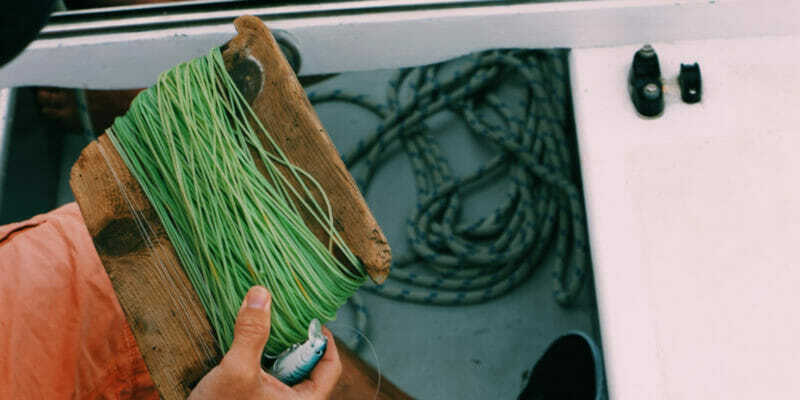 While not strictly a recreational kayak, many kayakers want something they can use as both a fishing platform and a recreational kayak. The Lifetime Tamarack Angler 100 fits the bill nicely. The hull shape is wide, flat and extremely stable, so it won’t flip over easily. There are three fishing rod holders built in. Two flush mounted holders on either side of the seat, and a top mounted holder on the starboard (right) side. There also plenty of storage space, with 2 watertight hatches and 2 bungee cord storage wells. The kayak is constructed of UV-protected high-density polyethylene so it’s more than durable enough to handle rocky environments. At 10 feet long and weighing 52 Lbs, it’s fairly light and easy to get in and out of the water. 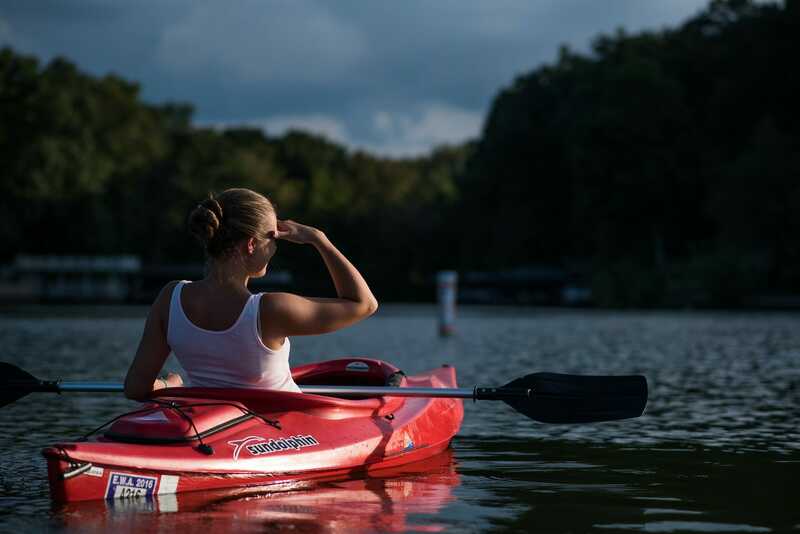 As you may have noticed, recreational kayaks vary widely in price, features and best use case. To help you narrow down the best kayak for your needs – let’s take a look at the most important kayak features you need to know. While kayaks vary widely in features, most will share several basic components in common. You should have a basic understanding of these components when you are considering any recreational kayak under $500. Spray Skirt. A spray skirt keeps out rain and choppy waves. Spray skirts can be made from a variety of materials, but nylon fabric is the most common in recreational and touring kayaks. They are treated with some form of waterproof coating – which keeps your bottom half dry in case you get hit by a rogue wave! Skeg. A skeg is a fin that extends into the water from the bottom of the kayak. Located in the back of the kayak – known as the ‘stern’ – skegs are typically adjusted up or down with a hand control. When fully extended, the skeg will act to steady the kayak in windy conditions. When raised, the skeg will increase the kayak’s maneuverability. Rocker. The rocker is the degree of curvature in the hull of the kayak. The more rocker the kayak has – the more maneuverable it will be, especially in rough water. The less rocker – the easier the kayak will be to paddle straight and efficiently. Rudder. The rudder helps control the direction of the kayak. It’s different from a skeg – as it rotates from side to side – a skeg is only adjustable in the up and down direction. The rudder is controlled with foot pedals, which makes turning easier by adding additional control. Hull Shape. Kayak hull shapes vary widely – different shapes are used for specific purposes. For recreational kayaks, most hulls will feature a flat hull or a pontoon hull design. A flat hull simply means that the bottom of the kayak is flat – this makes the kayak very stable and ideal for flat water use. Pontoon hulls have an inverted shape on the bottom, similar to a pontoon boat. 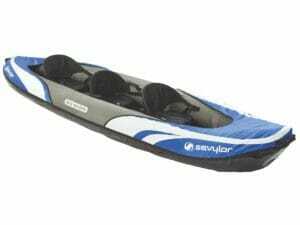 They provide extreme stability for fishing kayaks as well as some recreational kayaks. Sit-in kayaks are the traditional kayak design, where your lower body is enclosed inside the hull of the kayak. These kayaks sit lower in the water than sit-on-top kayaks – this gives the kayak a lower center of gravity – which increases efficiency and stability in the water. Good for colder and wetter environments – as your lower body is protected from the elements. Can attach a spray skirt to further prevent water from getting in. Low center of gravity makes them more stable and efficient in the water. More difficult to enter and exit the kayak. If the kayak capsizes, it will be more difficult to flip over and re-enter. Sit-on-top kayaks are great for casual use and are especially fun when the weather is nice. The open hull design allows you to take a dip in the water and re-enter easily. These kayaks work well for beginners as well, as capsizing is not really an issue. Works well in warm weather, as you can easily get in and out of the water. Beginner friendly, as they are easy to get in and out of. Also, if the kayak capsizes, it’s easier to flip over and climb back in. No restricted feeling – your legs are free and not confined in the hull. Not ideal for colder conditions, as you will likely get wet from waves. Less stable in the water than a sit-in style kayak. 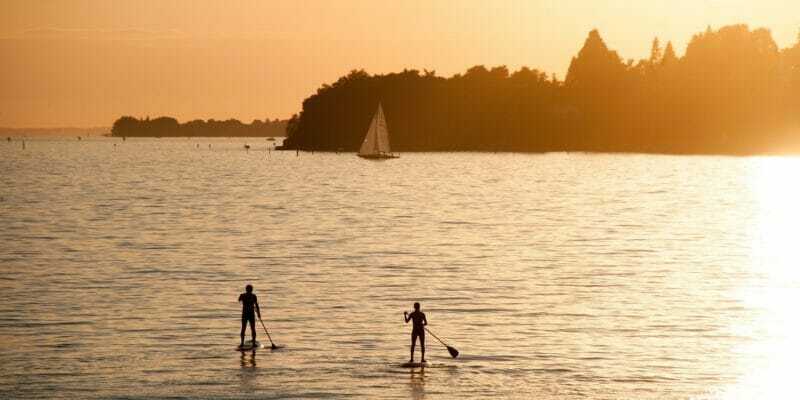 Similar to inflatable stand up paddle boards, inflatable kayaks have come a long way in recent years. They are made of durable, puncture-resistant PVC, which stands up well to most conditions. If space is a premium for you, then an inflatable kayak is a great choice. They are also great for hiking and camping trips – as you can bring a full-sized kayak with you – and it folds up to the size of a small duffel bag. Light, compact and easy to travel with. Can inflate and deflate fairly quickly with a good electric pump. Performance will not be as good as a hard body kayak. Need to inflate and deflate every time you use. Most recreational kayaks manufactured out of polyethylene plastic. Polyethylene is a tough, durable material that can withstand almost any conditions. You don’t have to worry about breaking a polyethylene kayak on the rocks! Polyethylene kayaks do have several drawbacks though. They are heavier than fiberglass kayaks and can become UV damaged if left out in the sun for too long. Make sure to store them in the shade when not in use. 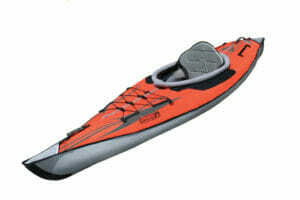 ABS kayaks are similar to polyethylene, but are lighter and have greater UV protection. They are usually a bit more expensive. Fiberglass composite / Kevlar boats are the most expensive and highest performing kayaks. 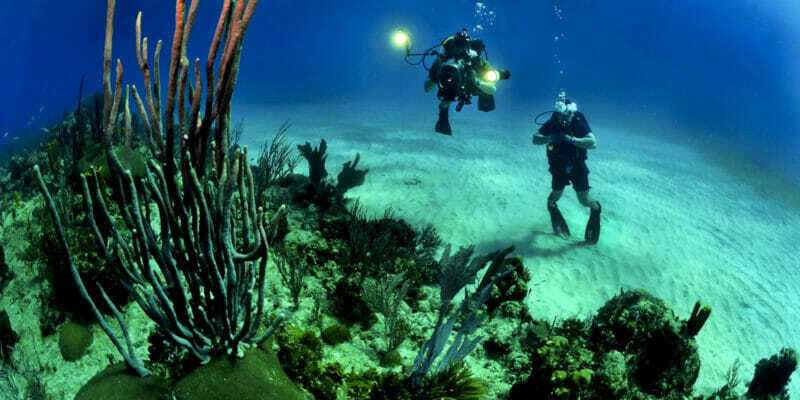 They are very lightweight, fast in the water and fairly easy to repair. For a recreational kayak under $500, you probably won’t find one of these. 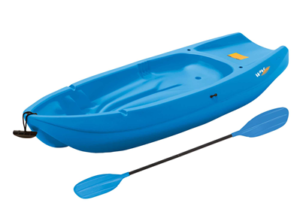 Inflatable kayaks are typically made of durable, puncture-resistant PVC. These kayaks are tough, but as with anything inflatable, there is a chance a leak may form. 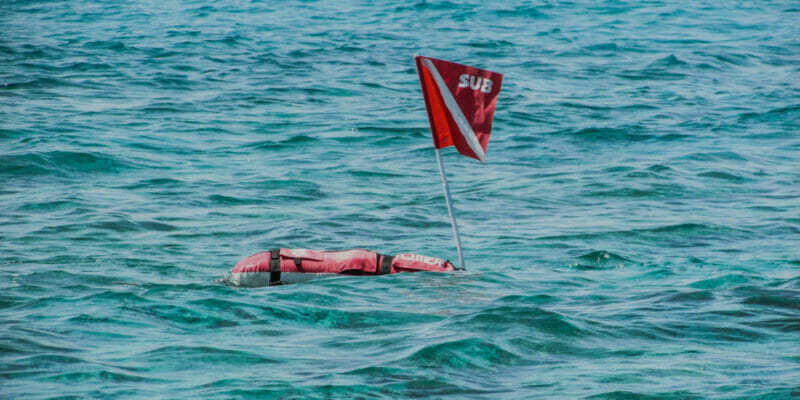 Most inflatable kayaks will come with some type of repair kit. Storage space is an important consideration, especially if you plan on taking your kayak on overnight trips. A good kayak will hold a surprising amount of gear if packed correctly. Backpacks, tents, sleeping bags and other supplies will fit inside the bow and stern of a traditional kayak. Adding an aftermarket kayak seat is a good idea, especially if you plan on longer kayaking sessions. Generally, traditional sit-in kayaks will have more storage space than the sit-on-top style. Many also feature a watertight storage compartment which keeps your most important gear safe and dry. Most kayaks will have some form of bungee lashing system on the front or rear of the kayak. This is very useful for storing lightweight items that you may need to access quickly – like a map or an extra paddle. You don’t want to store heavy items here though – they should go inside the hull to keep the kayak’s center of gravity low. As you might have noticed, picking the right kayak is largely going to depend on what you plan on using it for. Sit-in kayaks are great for longer kayak trips or when you have a lot of gear to transport. Sit-on-top kayaks have come a long way in recent years and are a viable option for day trips, general fun, and playing in the ocean surf. They also work well as fishing platforms due to their excellent stability. Inflatable kayaks are super light and portable and great for hiking/camping or people who don’t have the storage space for a full-sized kayak. Nice article and cool selection of yaks! Thanks for sharing.